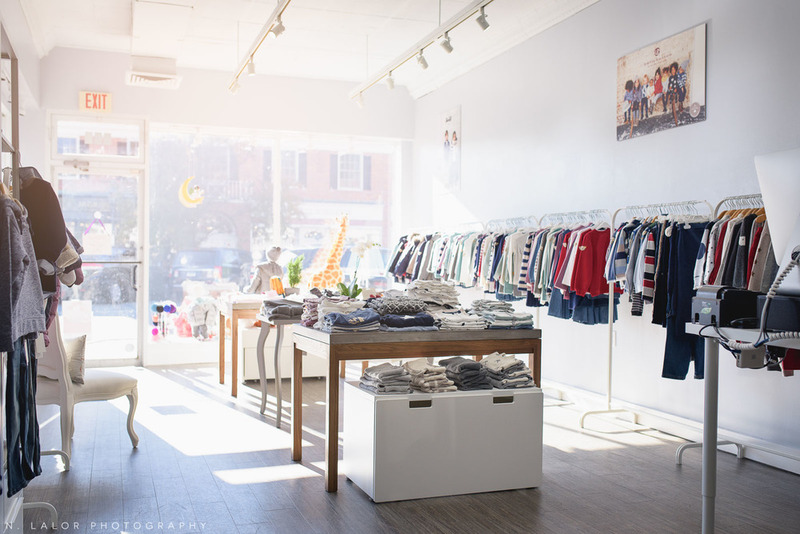 There are several great clothing stores and children’s boutiques in Fairfield County, but Ella & Henry is really, truly, special. You can see the difference just by looking through the huge front windows. 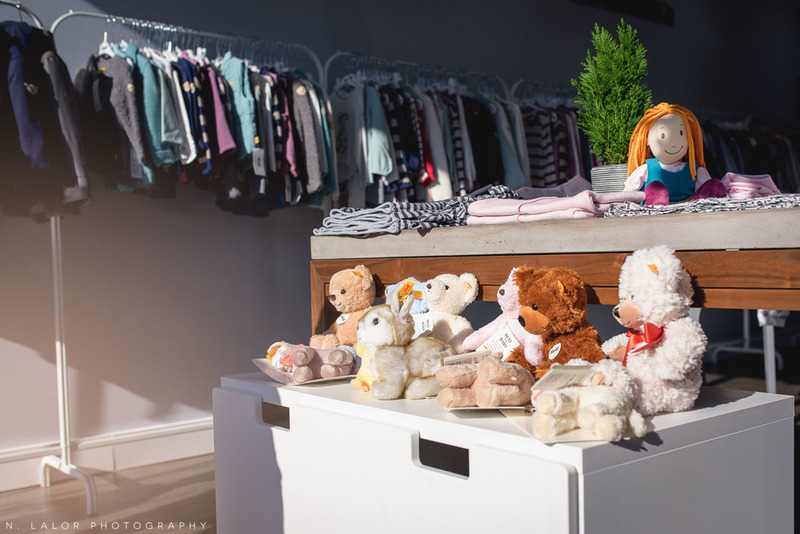 The gigantic stuffed giraffe that has graced the pages of so many children’s catalogs hints at the fact that this is the first and only retail location in the US that carries the children’s clothing line by Steiff (the maker of the popular toy line). 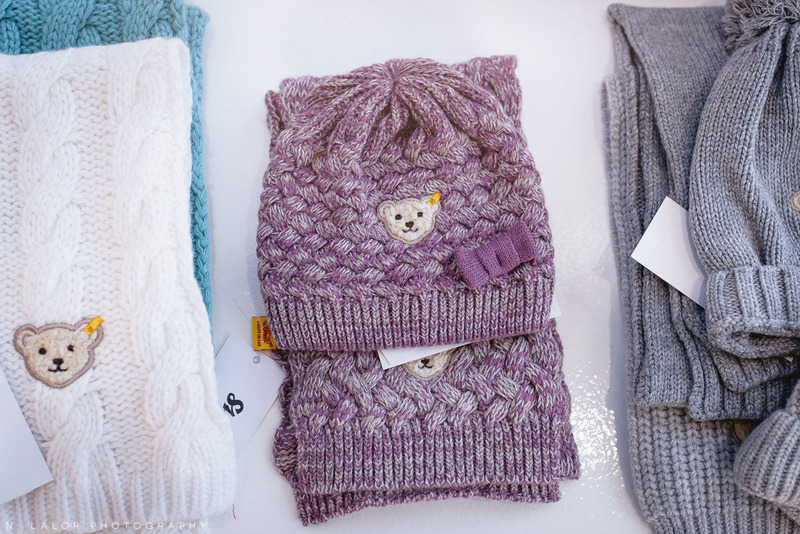 In fact, every single item in the store is hand-picked and imported by the owner, Christine. Since opening in October, she’s been adding European clothing lines to her store. 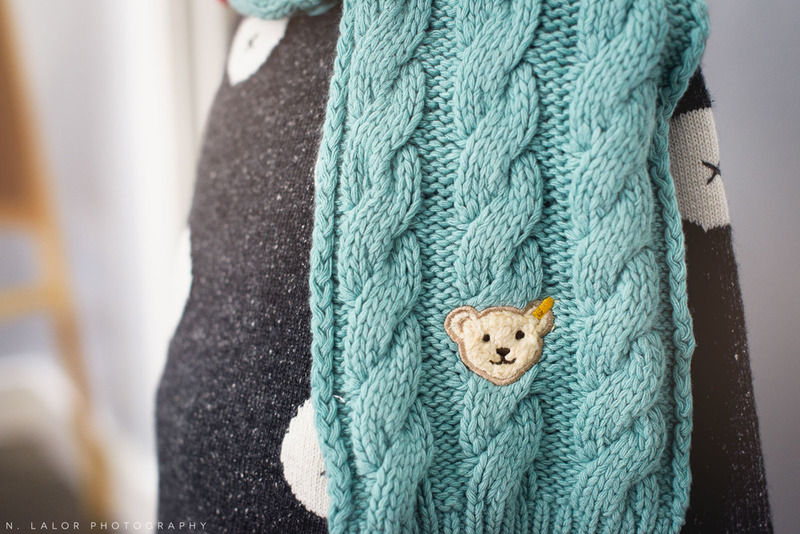 Aside from Steiff, which you can identify by the adorable little bear emblem, she has Bellybutton (earthy, fashion forward, mostly organic cotton), and has recently added Papermoon (Italian fashion wear) for the 6-12 age range. But the thing you’ll notice most of all is how beautifully coordinated everything is. The color palette is grounded, based in neutrals, and incredibly pleasing. The clothes are made for children to play in. They are comfortable and stylish, but there’s also an incredible focus on quality. They are designed and made in Europe. 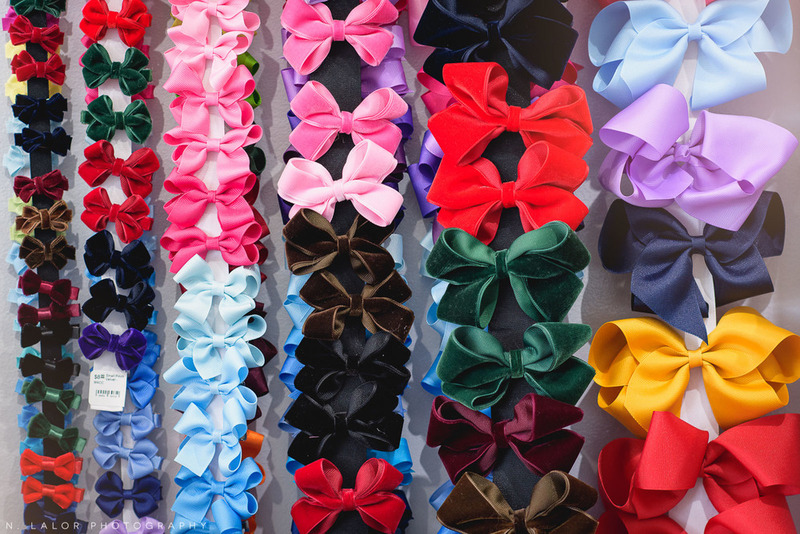 The fabrics are so soft and the quality is simply astounding. I also love the fact that Christine is an entrepreneur. She noticed that people were always complimenting her on the way she dressed her son. They kept asking “Where do you buy his clothes?”, to which she replied “Germany!”, because you simply couldn’t get them in the US. So she decided to take things into her own hands and spent a year making Ella & Henry happen. Finding the perfect location was the hardest part. 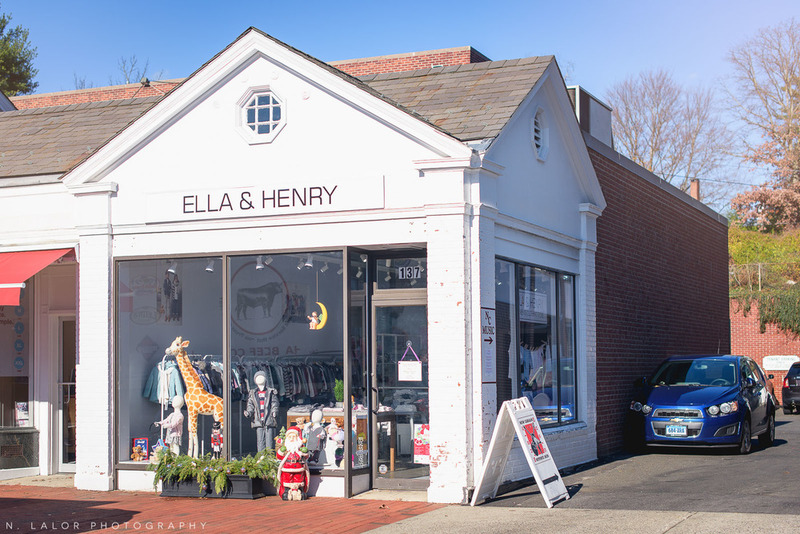 Ella & Henry is located on the main shopping street in New Canaan (137 Elm St. to be exact). Christine loves the small-town feel and the fact that people walk to all the lovely restaurants and shops on the street. It has a very European feel about it and people have been so welcoming, too. "It’s such a nice atmosphere to open a store”, she says. She is also the one helping her customers put together an outfit or pick out the perfect accessory. Christine knows every single piece in her store and can quickly bring out the best options and explain the differences. She helped me find the perfect little sweater for my son Elliot, which not only looks great, but he LOVES to wear. 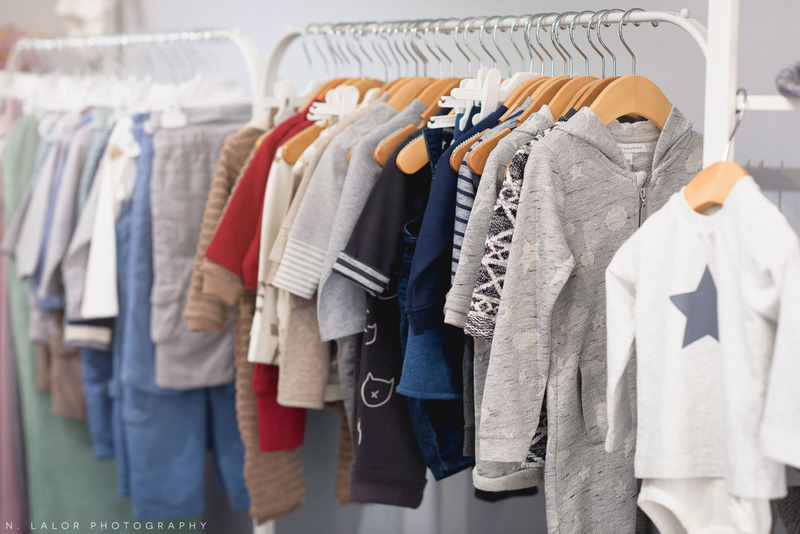 Really, I am just so thrilled to have such an amazing children’s clothing store so close by and completely full of the most adorable, fashion-forward, and play-friendly clothes for babies and kids. 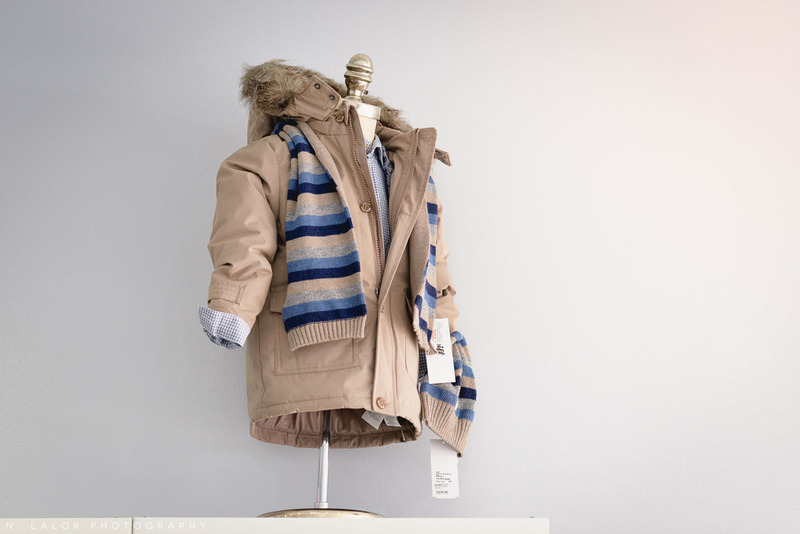 I am so excited to have this for my clients there when they’re looking for the perfect photo-ready outfit for their children… because you simply can’t go wrong with anything Ella & Henry carries. Open Mon-Sat 10am-6pm, and Sun 12pm-5pm. Newer PostCandid Family Photos with Charlie - Stamford, Connecticut. Want to take better photos with your iPhone NOW? You don’t need special software or knowledge! Get the tips by clicking the button below. Please check your inbox to confirm your email address. To complete the subscription process, click the link in the email. Thank you for reaching out! You will receive a reply from the photographer within 24 hours.